The World Anti-Doping Agency’s compliance committee has recommended reinstating Russia’s anti-doping body, ahead of a vote on the issue at an executive-level meeting next week, WADA has announced. WADA released a statement on Friday with an updated recommendation from its Compliance Review Committee (CRC), which has been meeting to discuss evidence by the Russian sports authorities as the country’s anti-doping agency (RUSADA) seeks reinstatement ahead of a vote on September 20. In a press release, WADA said the CRC had accepted in principle Russia’s answers on two key issues for reinstatement. “Today, the World Anti-Doping Agency’s (WADA’s) independent Compliance Review Committee (CRC) delivered a recommendation to go to WADA’s Executive Committee (ExCo) for the reinstatement of the Russian Anti-Doping Agency (RUSADA) when the ExCo meets next on 20 September,” the statement read. “During its usual pre-ExCo conference call, held on 13 September, the CRC reviewed at length a letter from the Russian Ministry of Sport to WADA and was satisfied that this letter sufficiently acknowledged the issues identified in Russia, therefore fulfilling the first of the two outstanding criteria of RUSADA’s Roadmap to Compliance. “For the second outstanding criterion, the CRC accepted that the new commitment to provide access to the data and samples in the Moscow laboratory to WADA via an independent expert would be sufficient to justify reinstatement, provided that the ExCo imposes a clear timeline for such access,” the statement added. 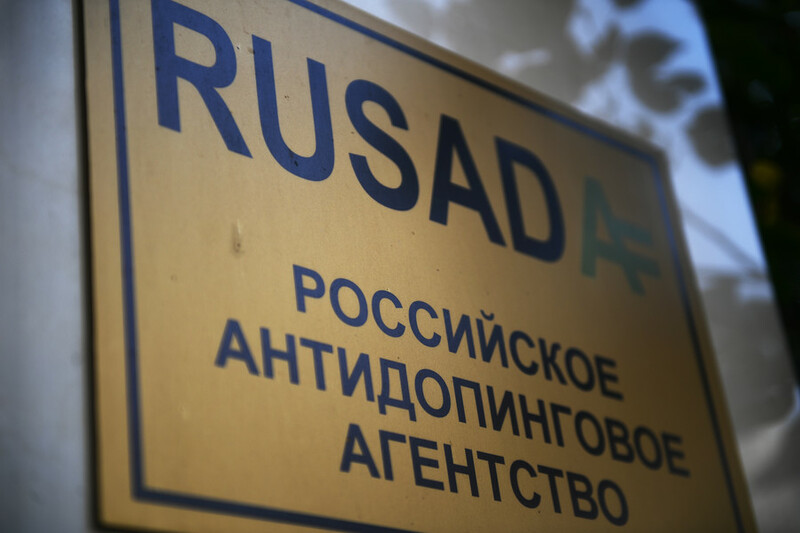 RUSADA was declared non-compliant in November 2015, amid allegations of a state-sponsored doping program. Russia denies a state-sponsored program ever existed, but has admitted that there were problems within its anti-doping system. A key sticking point in WADA reinstatement was on granting access to data from the Moscow anti-doping laboratory, although this issue now appears to have been resolved. The news was welcomed by Russian Sports Minister Pavel Kolobkov, who said: “I was confident that sooner or later the WADA committee would accept the huge work that Russia has carried out in the fight against doping. “We always aimed for cooperation, we did everything that depended on us, while acting according to (Russian) law. “We are open to the maximum, because we have nothing to hide. Only with shared efforts can we achieve such a result,” Kolobkov added. Russian athletes were banned from competing under the nation’s flag at both the 2016 and 2018 Olympics, although the Russian Olympic Committee was reinstated after the Winter Games in PyeongChang earlier this year. Russian associations remain banned by a number of sports governing authorities, such as the International Association of Athletics Federations (IAAF), although reinstatement to WADA would lead to calls for readmission across the board.